When you live in the largest and most undeveloped state in the nation, it’s kind of a given that you would have the most awesome outdoor playground in the world. 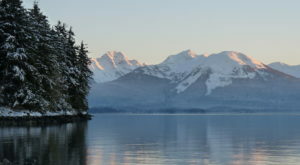 From stunning mountain views, lush forests, glorious glaciers, abundant wildlife, booming waterfalls and so much more. Let’s face it – Alaskans are spoiled. Check out these 15 incredible hikes under five miles that everyone in Alaska should most definitely put on their bucket lists ASAP. This awesome hike is located just through the infamous tunnel to Whittier on the right hand side of the road. There is about a 800 ft elevation gain throughout this five mile round trip (in and out) trail. 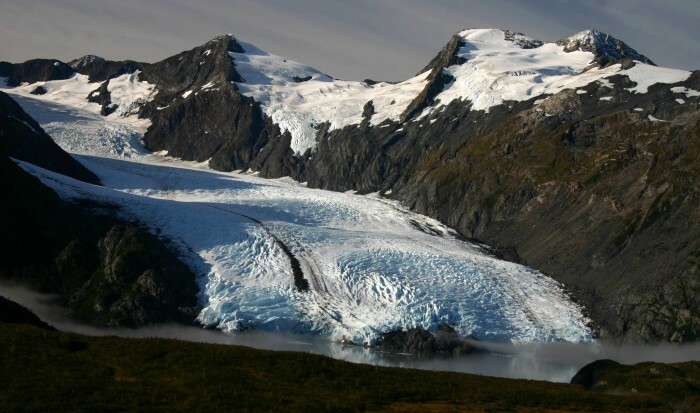 Hikers can enjoy phenomenal views of Portage Glacier along with trail with Prince William Sound’s Passage Canal in the distance. When you walk down to the gravel beach area it is recommended to sit back and have the most epic picnic of your life. 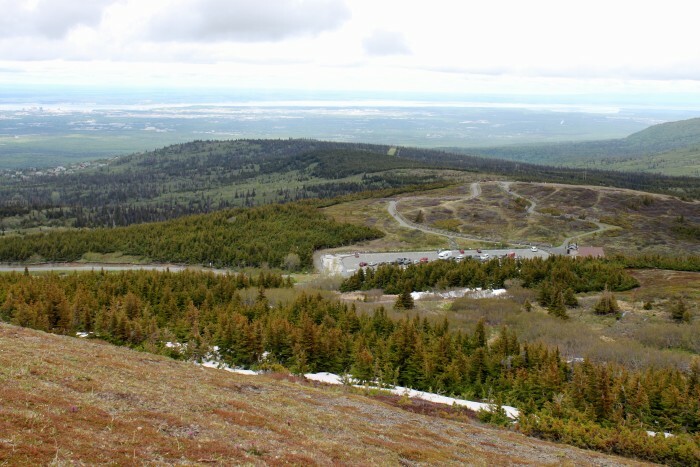 This three mile round-trip hike is probably the most popular in all of the Anchorage bowl. The beginning of the trail is comprised of a wooden staircase. There are switchbacks up the mountain that wind through hemlock. Once you reach the top you will be in the middle of alpine tundra filled with yummy blueberries (when in season). This hike is rated as intermediate level as there is a somewhat steep elevation gain but it isn't too challenging to bag. The view from the top appears to be something out of a dream. 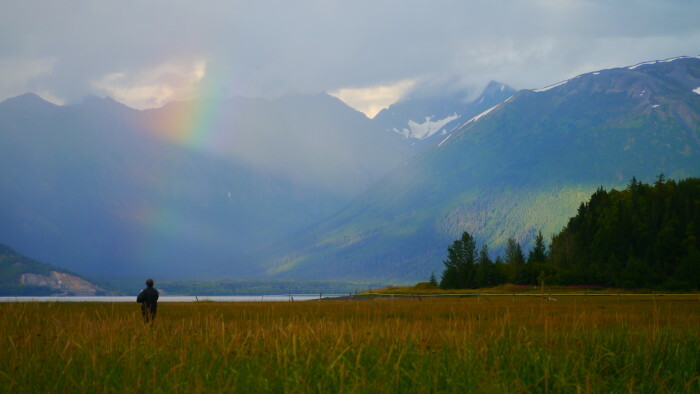 With views of Anchorage, the inlet and mountains in the distance, hikers are sure to be awe-inspired. 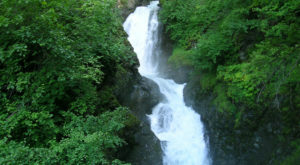 Less than a mile from the trail-head, hikers will enjoy a fantastic view of the falls. 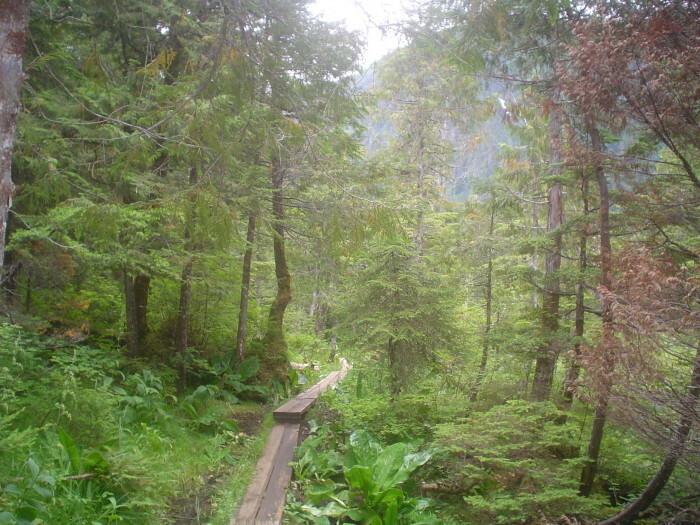 There is a 500 feet elevation gain and much of the trail is on a narrow boardwalk, which can get slippery at times so it is encouraged to always use caution. 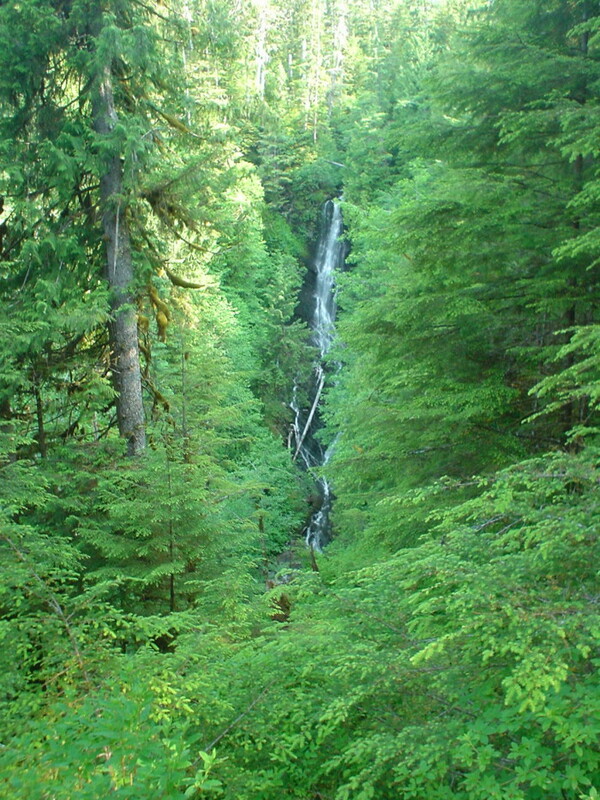 Hikers will go through a dense hemlock forest before popping out at the beautiful Rainbow Falls. This five mile hike is worthy of writing home about. 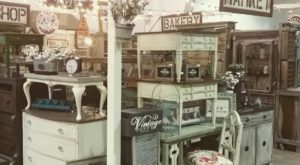 However, once you go to the adorably quaint town of Hope, you might not ever want to go home (it's really easy to fall in love and never leave). On this hike you will see impressive views of Turnagain Arm. It is a difficult nearly straight upwards hike though so it is encouraged that you be physically prepared before attempting this journey. Once you make it to the top, your eyes will be sparkling from left to right. This three mile trek is perfect for day trips and picnics alike. 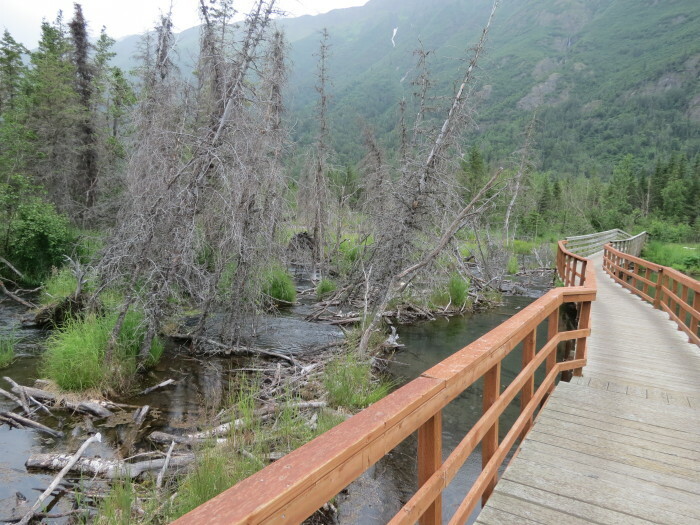 To access it, hikers will actually need to get on the Primrose Trail in the Chugach National Forest. 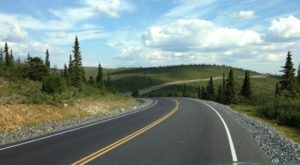 It is a great area to enjoy spectacular scenery, lush forest and the fresh outdoor air. This 3.5 mile loop has some steep climbs in elevation but the stunning landscapes of the Alaska Range are well worth the trip. Huge molten rocks are fun to explore and delicious blueberries can be found along the way. Allow plenty of time to go off the beaten path to check out all the cool natural formations that are sure to intrigue you. This is such a magical place. 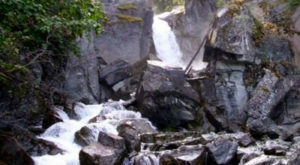 Visitors can enjoy a three mile journey on Albert Loop or they can opt for a five mile hike up to view loud, booming waterfalls at Heritage Falls. The five mile hike is however 5 in and 5 out, making it a total of ten miles. So if you go that route, be sure to bring a good lunch, plenty of water and be prepared for a day of nature filled exercise. On a warm sunshine filled day in Alaska, nothing beats spending the whole day outside enjoying fresh air and stunning beauty! 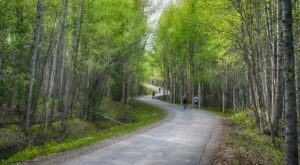 It sounds a little eerie and sure, it might wind through an old cemetery, but this trail is packed with history and scenic views along the way. And once you hit the end, you will be greeted by a beautiful dose of eye-candy. This trail is 2.5 miles round trip. 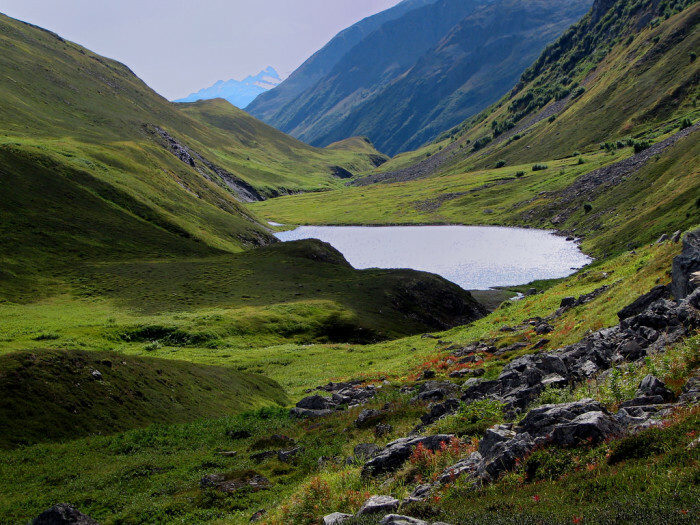 This 3 mile round-trip hike on the Kenai Peninsula submerge you into Alaska's back-country within the first few minutes of the hike. 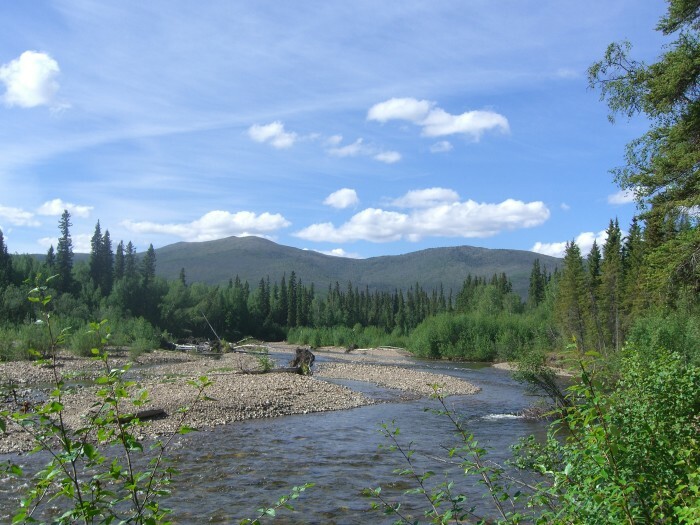 It is accessible off of Skilak Lake Loop in Cooper Landing and is a great place to see wildlife, bring a fishing pole or have a picnic lunch. Views for days, baby - views for days! 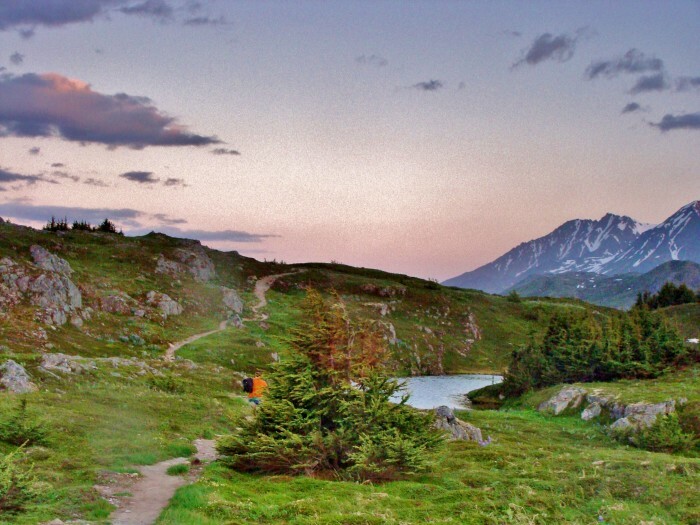 If you want to be left feeling like you are head over heels in love with Alaska, head to the Rendezvous Peak Trail in the Arctic Valley area of Anchorage. 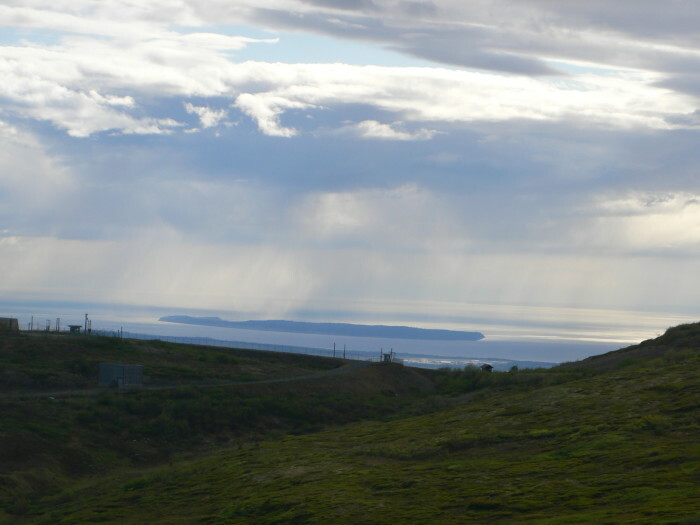 From the top you can see views of Anchorage, Cook Inlet, Ship creek and over towards Eagle River. Distance is roughly 3.5 miles. 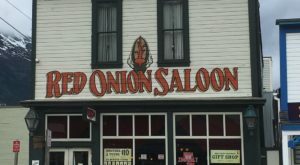 This is one of those absolutely "must do's" if you visit the beautiful town of Seward. From the parking area, it is only about an hour long trip to get to the glacier and back. Those that want to go further can hike up to seven miles while exploring the glacier. 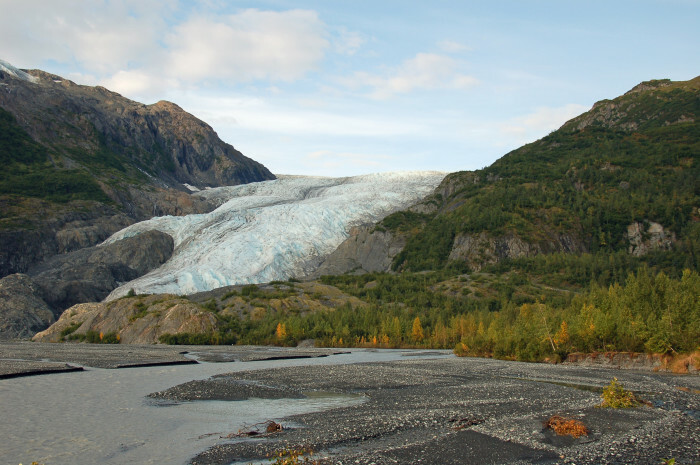 Exit Glacier is one of the 35 glaciers that flow off the 500 sq mile Harding Icefield in Kenai Fjords National Park. This 2.5 mile loop trail offers something for everyone. Enjoy lush forest, sparkling streams, wildlife viewing and even the ability wet a line and catch some fish. 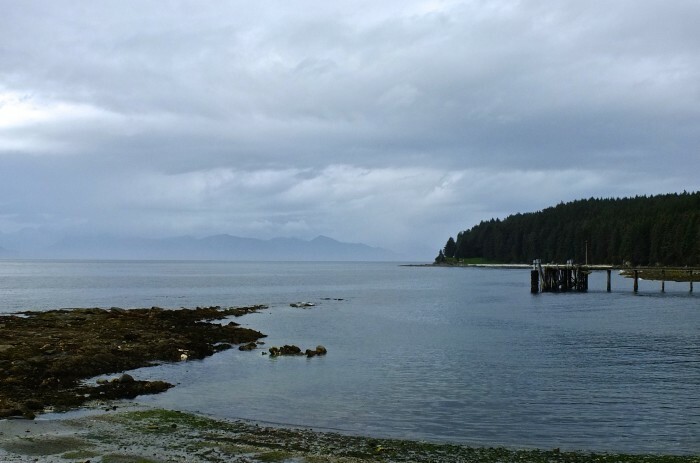 Throughout the hike you can enjoy stunning view of Bear Mountain and the Baranof Islands. 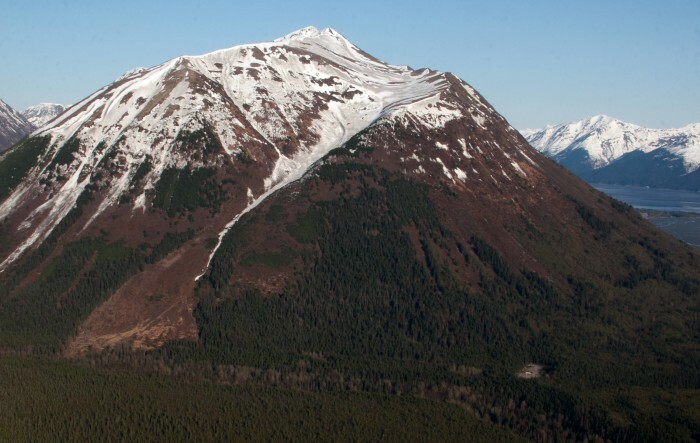 You can get to Penguin Peak by stopping at the Bird Creek Valley hiking area on the left side of the road as you head towards Girdwood from Anchorage. This two mile hike is rated as 'difficult' as it leads you to a high point of 4,334 feet up. When you reach the top you will have a phenomenal view over Turnagain Arm, so it's definitely worth the trek. But be sure to pack a hearty lunch because you are sure to burn lots of energy on this climb. 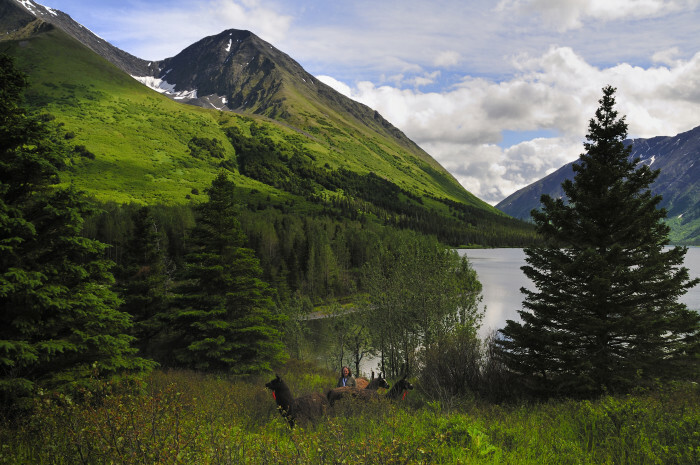 At just 3.4 miles, the Carter Lake Trail is the perfect way to spend a day on the Kenai Peninsula. Trout fishing is available in Carter Lake while grayling have been said to be found in Crescent Lake (which is less than a mile away). 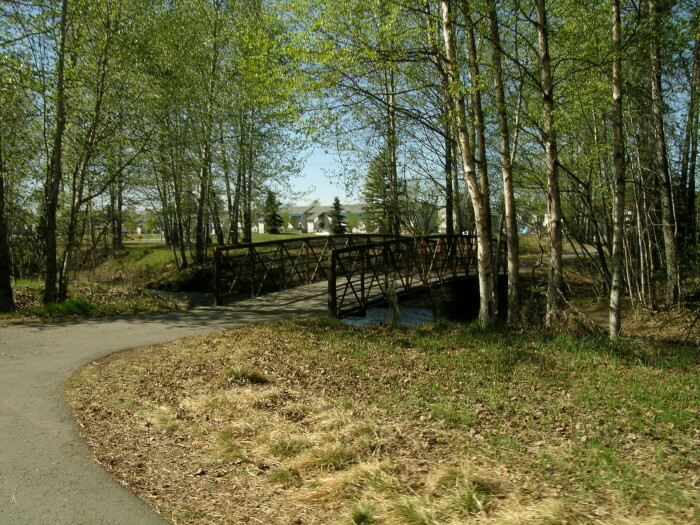 This four mile long path is located conveniently within the Anchorage city limits right in the middle of town. It is a beautiful, scenic "happy place" for those looking to escape the noise and city lights. This path is great for hiking, running, biking or walking the dogs. 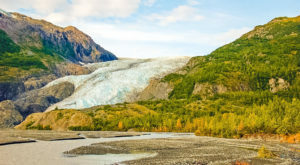 From mountain peaks and glorious glaciers to lush forests and bursting waterfalls, hiking in Alaska is totally out of the ordinary. Have you ever been on any of these awesome hikes? Can you think of any others we should add to the list? Living and loving life in Alaska, Courtney enjoys living a happy life based on simple principles; work hard, be kind, stay humble. She is an avid dog lover with hobbies that include running, fly fishing, hiking & snowboarding.